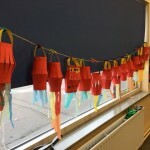 The 8th of February marked the start of the Chinese New Year. 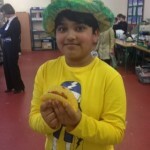 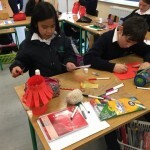 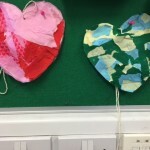 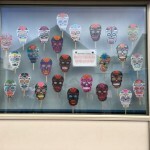 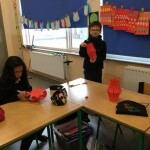 Pupils in 5th class were celebrating by making traditional Chinese lanterns. 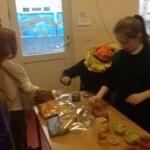 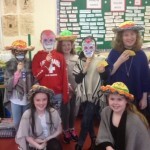 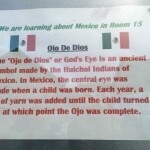 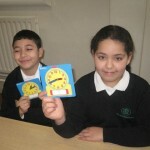 The boys and girls in Room 14&15 were learning all about Mexico in Geography. 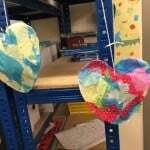 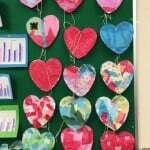 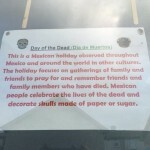 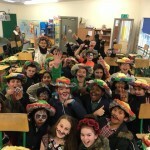 We learned about lots of Mexican traditions and art work and even made our own art too including sombreros, Ojo de dios and day of the dead masks. 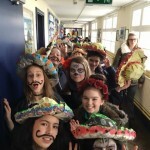 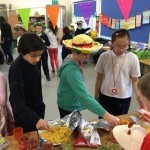 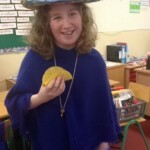 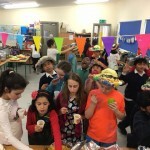 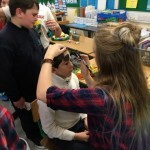 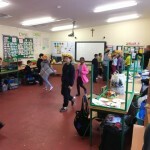 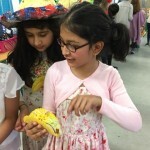 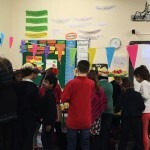 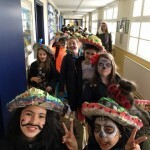 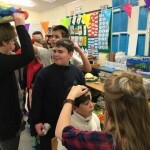 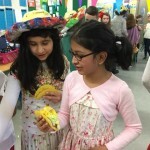 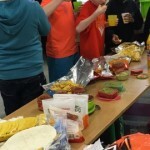 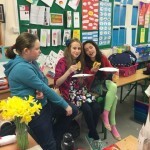 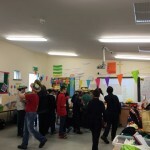 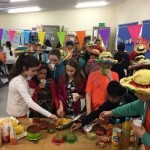 We had a Mexican fiesta too to celebrate all things Mexican in the classrooms and got to sample some Mexican foods and dance to Mexican music. 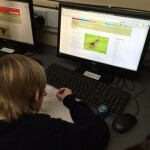 Room 1 were very busy researching some Irish garden birds today. 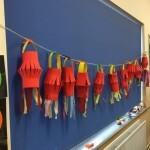 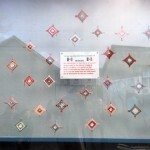 Some boys and girls chose the robin, others learned about the wren. 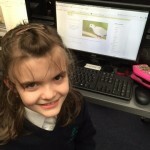 We discovered lots of interesting facts about where they nest and what they like to eat. 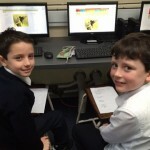 We’re already looking forward to our next trip to the computer room! 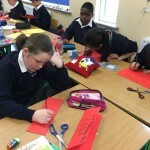 St. Brigid is a patron saint of Ireland. 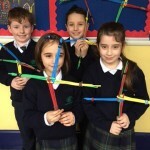 We read the story of St. Brigid on Monday and made these beautiful St. Brigid’s crosses to celebrate her feast day. 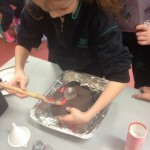 Room 14 were investigating materials and change. 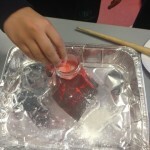 We investigated what happens acids and bases are mixed. 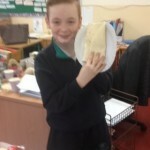 We used vinegar as an acid and bread soda as our base or carbonate. 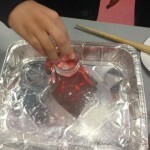 When we mixed them, we discovered that it created a fizz! 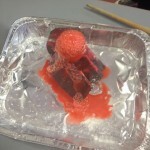 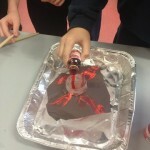 To make it more exciting we added food colouring to make our very own volcanoes. 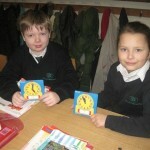 The boys and girls in Room 15 were very busy completing procedural writing pieces based on the inventions of new playground games. 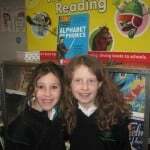 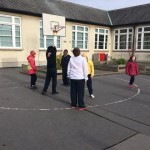 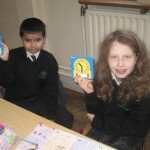 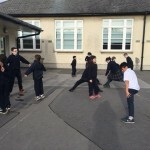 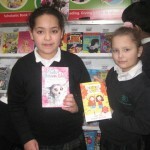 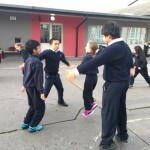 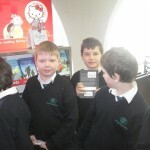 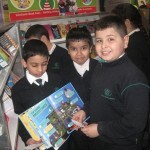 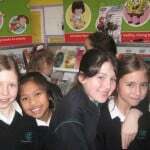 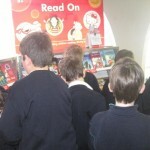 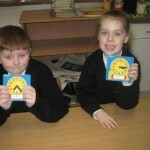 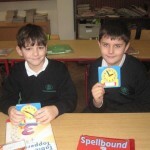 When they were completed we invited 2nd class, Room 1 to the yard to help us out to play them. 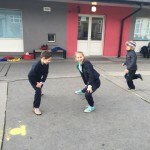 We told them the procedure involved in playing the game and then we played it.